OC Mom Blog: Wordless Wednesday: Holy Guacamole! Love the mustaches! Where did you eat? The food looks delish! That is so cute! I love that your son's mustache is falling off like a bad disguise! This is making me hungry! 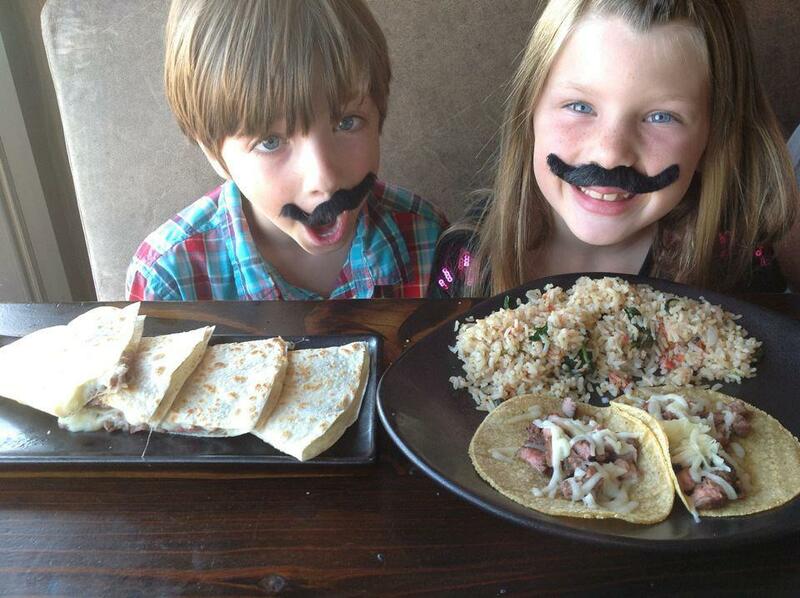 A picture is worth 1,000 words... Adorable kids and the food looks delish! That photo is adorable! And it's making me hungry.